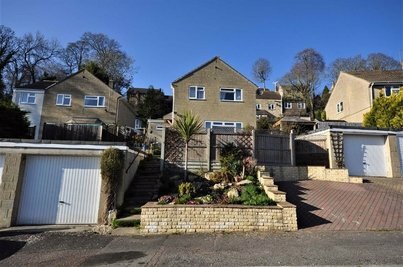 A well presented modern three bedroom detached family home with FANTASTIC VIEWS close to the centre of Stroud TOWN. 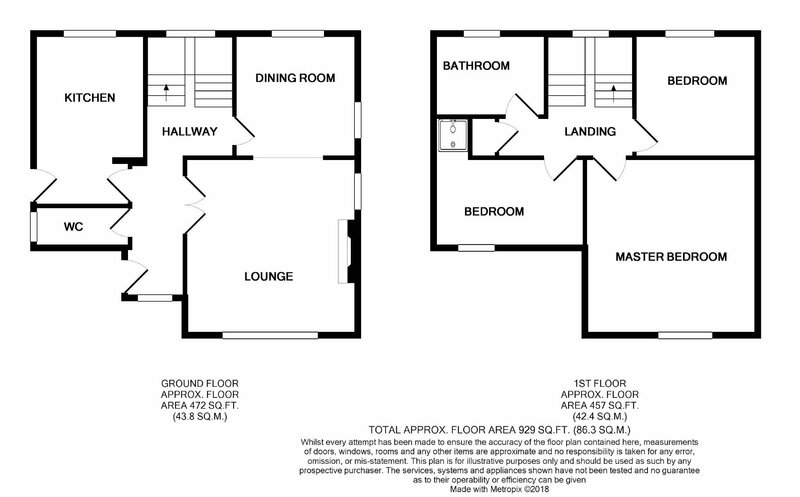 The spacious accommodation comprises of a welcoming entrance hall, lounge leads through to the dining room, RE-FITTED KITCHEN and CLOAKROOM complete the downstairs accommodation with three bedrooms and family modern bathroom to the first floor. Outside gardens front and rear plus GARAGE and parking. 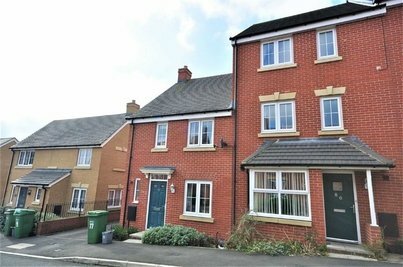 A fantastic family home, not to be missed. Location: Stroud has three supermarkets including Waitrose, many high street shops, bars and restaurants. There is a weekly and nationally acclaimed farmers market. Several villages within a few miles have pubs which serve excellent food. Situated within an area of outstanding beauty and within easy reach of surrounding countryside, perfect for enjoying country living. Stroud has good transport links with London Paddington, only 90 minutes approximately by train and Bath and Bristol 45 minutes by car. DETAILS NOT YET VERIFIED BY VENDOR, MAY BE SUBJECT TO CHANGE. Via UPVC woodgrain effect part glazed door into entrance hall. Woodgrain effect double glazed window to front. Doors to lounge/diner, kitchen and cloakroom. Stairs to first floor. Carpet. Woodgrain effect double glazed window to front. Pedestal wash hand basin, low level WC. Part tiled walls. Radiator. Laminate flooring. Woodgrain effect double glazed window to front. Gas fire with marble surround. Double radiator. TV and telephone point. Arch to dining room. Carpet. Woodgrain effect double glazed window to rear. Double radiator. Carpet. Woodgrain effect double glazed window to rear. Range of eye level and base storage units with laminate work surfaces over. Stainless steel one and a half bowl sink unit with mixer tap over. Built-in electric hob and oven with extractor hood over. Double radiator. Combination gas boiler. Laminate flooring. Double glazed door to side aspect. Woodgrain effect double glazed window to rear. Doors to bedrooms and bathroom. Airing cupboard. Access to loft space. Carpet. Woodgrain effect double glazed window to front. Double radiator. Telephone and TV point. Carpet. Woodgrain effect double glazed window to rear. Built-in wardrobes with bed surround. Double radiator. Carpet. Woodgrain effect double glazed window to front. Shower cubicle. Double radiator. Wooden flooring. Woodgrain effect double glazed window to rear. Panelled bath with shower over, pedestal wash hand basin, low level WC. Part tiled walls. Radiator. Laminate flooring. Garage with off road parking, beds and borders with security lighting enclosed by brick walling. Patio area enclosed by brick walling with security lighting and pedestrian side access. Garage with up and over door, power and light and personal door to side aspect.